Brightly colored yellow peaches perfectly ripened by summers warmth work lovely in a fresh mixed salad. Today Yellow Peaches, Dijon Dressed Baby Frisee, Blue Cheese, Sunflower Seeds easily provided a quick and delicious luncheon debut a few days back. Admittedly, I am a bit behind my time on peach recipes this season. While the name Spiced Peach Blog.com did not come en route for my expertise in canning summer peaches, or, mile high peach pies, still, I am quite fond of the summer fruit and like to have something special to share in the seasonal recipe repertoire. So, even though today marks the beginning of Labor Day weekend, the unofficial close of the summer season, I’m still considering myself to have clinched a seasonal fruit recipe within what I coin the second peach season, late summer, that in my humble opinion is when many types of peaches are at their most delicious peak anyway. The first peach season is merely the announcement that it is peach season of which the peaches are often hardly ripe enough to be picked. 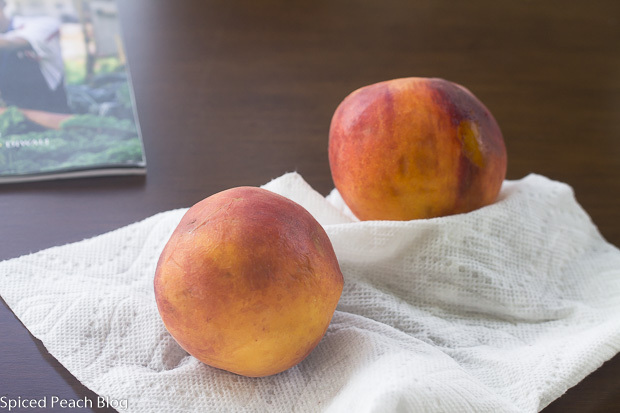 The second peach season sees the fruit in all its glory the time of perfectly ripe, perfectly juicy, drip down your chin over the sink peach season. Generally this occurs anywhere from the second to the third week of August and you pick em and get em until their aren’t any peaches left to be had and then the peach season is officially over. Peaches also pare nicely with select cheeses like blue or Roquefort along with a variety of nuts or seeds so you can even be creative in your freshly composed toss. Lending a nice balance to the fresh sweet peach and the ever so slight bitterness of baby frisee is the subtle ka-pow of tang combined with the Dijon Dressing, easily the grand finale in the composed symphony. Psst. 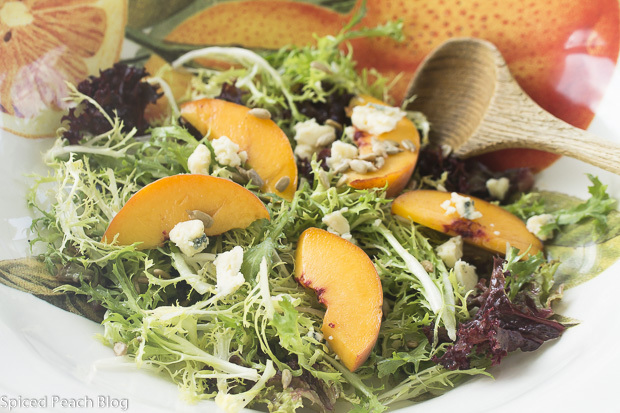 Very Delicious Yellow Peaches Salad: Second Season Yellow Peaches. Get em while they last. 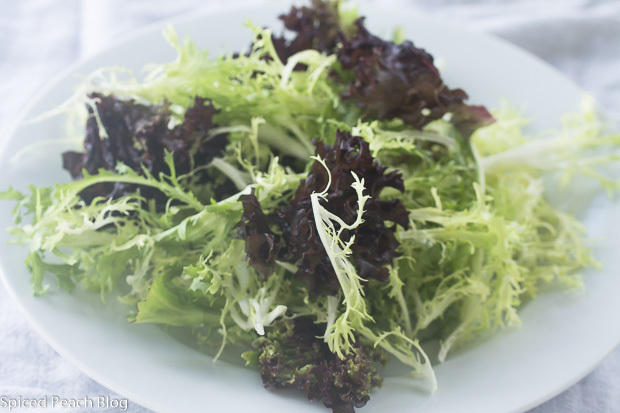 In a large sized salad bowl, Toss frisee with half of the Dijon dressing. Drizzle in more dressing a little at a time to coat leaves lightly all over or according to taste. Reserve any remaining dressing for another use. Plate dressed lettuce on individual salad plates. Decoratively arrange peach slices on top. 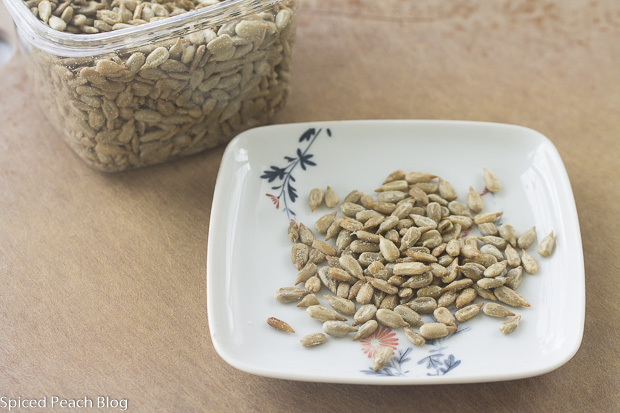 Sprinkle over sunflower seeds and blue cheese. For the Dressing: Whisk Dijon and white wine vinegar together in a bowl, slowly pour in olive oil in a stream while whisking vigorously. Add in salt and pepper. 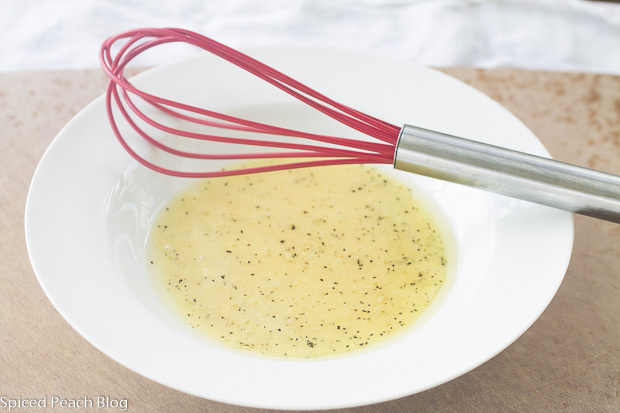 Whisk until dressing is lightly emulsified. Check seasoning, adjust to taste. This entry was posted in Salads and tagged Summer Yellow Peaches, Yellow Peach Salad with Dijon Dressed Baby Frisee Blue Cheese Sunflower Seeds, Yellow Peaches. Bookmark the permalink. Post a comment or leave a trackback: Trackback URL. This salad looks delicious, Peggy. Peaches are in season now here in New England too. 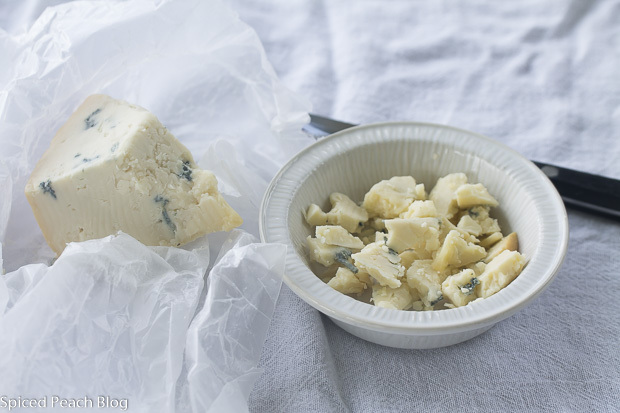 I also love pairing stone fruit with certain cheeses. Pinning this for later. Thanks! Kelly recently posted…Ahora 22: It’s Fly Week! Hi Kelly, Thanks so much. Enjoy the peaches while they are ripe, looks like we both like the cheese pairing! Talk to you soon! 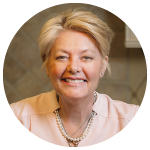 Hi Karen, Thanks so much! A delightful combination and I’m sure you would enjoy!